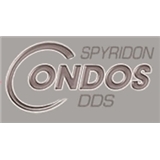 Spyridon Condos, D.D.S, LLC (New York) - Book Appointment Online! There is no one else who will provide your care in my office! I don’t believe there is any job that is too small for me to handle personally; I do your cleanings! I believe this gives me an intimate knowledge of both you and your mouth that can really only be achieved with hands on care. It also keeps me on time – I hate making patients wait! Dr. Condos has been my dentist for over 30 years and I have a wonderful smile. What more needs to be said.